The Millennium Series has selected the Virtue Clock as the exclusive chronograph to be used by refs and players at Millennium events for the next 2 years. 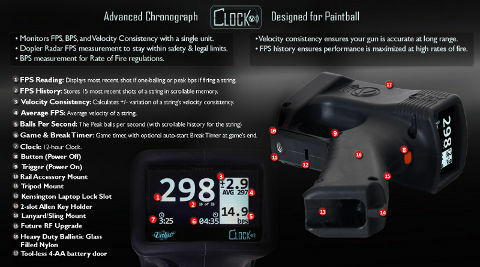 The agreement, which extends through the 2013 season, establishes the Virtue Clock as the "Official Chronograph of the Millennium" to be used for velocity and rate of fire enforcement at every Millennium event. “The Millennium has a long tradition at being at the forefront of tournament paintball. We developed the Virtue Clock specifically because of our expertise and experience in both paintball and electronics. Virtue is proud to support the Millennium and its players. 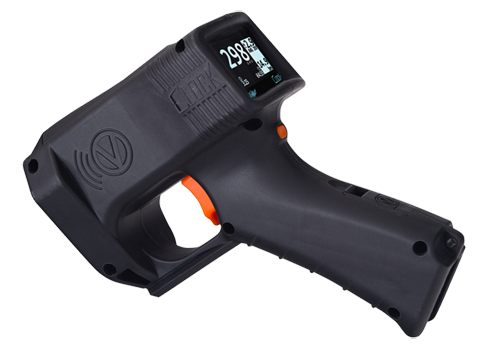 The Clock is easy to use, provides valuable performance metrics for your gun, and I’m confident both the players and refs will enjoy using them.” said Chris Williams, vice president of Virtue Paintball. The Millennium has selected the Virtue Clock as its official chronograph because of Virtue's expertise in delivering outstanding technology designed specifically for the sport of paintball. The Clock has been designed with a compact, ergonomic form factor and is capable of measuring and displaying FPS and BPS data for multiple shots. The Clock not only records the FPS and BPS for each shot in a string, but also immediately displays the peak FPS & BPS data as well as velocity consistency measurements. Additionally, the Clock has been designed with other time-saving features to make administrating games easier. Virtue Paintball is the industry leader in designing, manufacturing, and marketing electronics for paintball. In December 2011, Virtue released the ground breaking Clock chronograph, designed specifically for paintball, to world-wide acclaim. The Clock has been designed from both a tournament & field operator, but also a player perspective. The easy to use multi-shot reading capability, combined with consistency and shot-to-shot BPS measures allows players to fine tune their guns for maximum performance.